Free SSL a replacement for Paid ssl? Home » Security » Free SSL a replacement for Paid ssl? Today I am discussing the free SSL and its difference between the paid ones and is it replacing the paid SSL. SSL ( Secure Socket Layer ) will encrypt the connection between the client ( web browser ) and server ( web server ). Which means the people who sniffing the data traffic between server and client cannot retrieve the meaningful data. Since the data transferred is encrypted and only decrypt at the server and client side. Something like sending a box which is locked using a key and only the person who has the key can open the box. SSL Use public-key private-key encryption for securing the connection between them. Now, most of the SSL providers will provide free SSL for the providers. Comodo provides 90 days free SSL. They have the same security as paid ssl’s. Since both are using the same level of encryption methods and protocols like the paid one. Now, cPanel provides Autossl by combining with Comodo. You can also add let’s encrypt plugin with cPanel and use the same for providing free SSL to clients. cPanel autossl will automatically renew the SSL after 90 days. So we don’t need to worry about the renewal of SSL domains. Only thing take care is it uses a verification link for domain validation and the link should be accessible by the SSL authority. 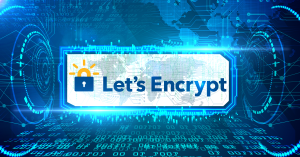 Let’s Encrypt is a free, automated, and open certificate authority (CA), run for the public’s benefit. You can use let’s encrypt in servers without control panel too. In that case, you need to add necessary automation methods to renew the certificates. For EV certificates, let’s encrypt is not suitable and need to go for purchase paid ssl. Free SSL provides only Domain Validated ( DV ) certificates. If anyone needs Organisation Validation ( OV ) and Extended Validation ( EV ) certificates, it needs to be purchased. And it is needed for business websites. The validity period provided by free SSL is from 30 days to 90 days and as a result, the website admin needs to renew the SSL after the period. Paid certificates provide a period of one to two years. In the case of Paid SSL certificates, the certificate authority is liable to provide support and it is available round the clock, but in the case of free SSL, there is no such support. Level of trust depends on the Validation methods. Free SSL provides only domain validation. With EV and OV certificates come with Green address bar and site seals which gives more trust while accessing the domain. Protocol and encryption mechanism used in all type of SSL is same, so there is no difference in security even if we use free SSL or paid SSL or self-signed certificates. The only difference is the Validation level. Google announced HTTPS as a ranking signal in August 2014. So a site without SSL has less ranking than a site with SSL. So all are adding SSL to their site to improve the protection of data theft in the traveling of data from client side to server end. Before the developers use self-signed certificates for testing the sites before implementation. With self-signed certificates, we get a browser warning, since the SSL’s are not trusted by any Certificate authority. Now Free SSL replacing self-signed certificates since they are trusted by a certificate authority. So we will not get the error like in self-signed SSL. Even though the SSL is freely available the business sites with high level of trust needs EV or OV certificates to get more trust from the customers.